Where Can I Buy Snuff? On Vacation? Traveling? In My Town? 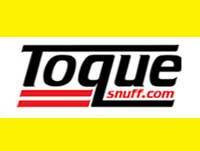 Please post any questions relating to where you have found snuff, or where you can buy it here. In Billings Montana most all the smoke shops carry snuff. No big selection but you have great chance to find silver dollar. You can even find tube rose, Garrett scotch/sweet, dental sweet/Scotch but they are spread out between the half dozen shops around town. Anyone know any tobacconists in the Houston area that stock snuff? I can find Garrett Scotch and Sweet at HEB, but that's it. Anywhere in Sheffield, UK? or perhaps penistone? im after menthol snuff really as my hedges might run out. Starting a snus and vape reviews & info blog. It will start slowly, but as I get more stuff in to try, it will build up. Sharrow Mills? Not far outside Sheffield. @buistd i emailed, and they say they dont have an open shop or anything. In the past I've ordered by phone and collected snuff from the mill. Not sure if they still do that. Probably worth a phone call to find out. Im on a trip to southern Tennessee near Nashville, and am hoping to find some of the snuff that aren't available up north, like Checkerberry or Dixie. Does anyone know of a good place? Maybe a chain that would carry such things? I can find all the garret stuff at home but no swisher brands. Pardon all of the OCD :P On a recent trip to Connecticut, I was stunned by the multitudes of tobacconist shops. I wanted to explore all of them, but time was in far too short of supply. It almost seemed as though there was a pipe & cigar in every shopping center! In the USA, American snuffs can usually be found in coal mining towns. Warsaw near the airport? Brother is in Poland for a day here and says he'll swing by a tobacconist on the way out. Thanks!! Not many tobacconists left in the UK compared to when I was a kid. In my home town of Walsall, if any fellow-Midlander snuffers are stuck there with no supply, the Chocolate Box confectioners in Bridge Street has Red Bull, Gawith Apricot, and JHW No1. Shokers on Stafford Street has JHW No1 & Medicated No99, Hedges and some WoS - I got vanilla, aniseed extra and aniseed & eucalyptus there. Under previous management they had Ozona raspberry, too, but no more by the looks of things. There's one more place I need to check out; I'll take the bus journey and report on availability. Is there any shops selling snuff in York in the UK?on holiday and would love to buy from a shop in the street. @snuffykib Choice Select on the corner of Coppergate and Nessgate. cheers ermtony,going to jorvik center tomorrow and that's on coppergate.ill check it out. ill let you know what i find.many thanks. yes they have some,wos,f&t and hedges.not many left but had hedges in sealed 20gram tins,so went for a tin because they are the freshest being sealed up.very similar to o&g.happy days. The Wellington pub, Bennett's Hill, Birmingham (UK) sells snuff from behind the bar. Haven't been there myself but have had this reliably reported from several sources. Apparently they have quite a variety. I've now simply got to go to check it out myself! Thinking about it, this might be the ideal venue for any members on here who are from the West Midlands to get together for beer n snuff if they fancy doing so. Dead central location in Brum city centre anyway, for anyone who's passing and wants to check it out. I am on an extended trip to Guayaquil, Ecuador, and my shipment from Mr. Snuff has run into a customs issue. I am about to run out of tobacco. Does anyone know of a shop that might sell snuff in the city? Thank you! Has anybody found Snuff locally in MN? I know of one B&M that carries some random snuff on occasion, but I'm looking specifically for Scotch Snuffs. In Springfield Illinois I have found (recently) mostly the W.E. Garret Scotch and The W.E. Garret sweet. I used to be able to get more from the local head shop (German snuffs) before PACT. Snagged me some wild berry, rum & cola and kentucky burban! @agentshags awesome find with the Toque USA and Silver Dollar! Those are very, very hard to find. Tube Rose is one of my favorites as well. Does anyone know if one can buy snuff oraz snuff-related stuff on Weihnachtsmarkt in Berlin? Prices were something like that. I was suprised when I realised they are imported from Poland. 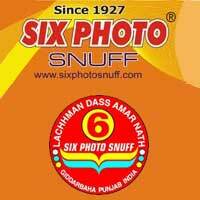 :) But it is the only shop with snuff I have found in that neighbourhood. No snuff in Nessebar. No snuff in city. Or just in Berlin, despite Poschles. They advertise that they have "All Tobacco and Dry Snuff!". I am going to check them out soon, although they probably only have american snuff, but you never know. Some of the low-rent discount tobacco shops near the border in northeastern Pennsylvania (Stroudsburg area) carry a few Garrett snuffs and a tin or two of Silver Dollar if you're really lucky, but nothing really worth going out of your way for, and I haven't been up that way for a while, so I can't remember the specific shops. Shops just over the border in low tobacco-tax states that border high tobacco-tax states might be worth checking out in general, as they do a lot of volume. I make it a habit to stop by almost every tobacco/head shop I see when traveling to ask about snuff and see if they have anything else worth buying. Never know when I'll come across a shop with some snuff, or find some cigars that the proprietor has forgotten about for a few years and is happy to get rid of for a song.